In 1946, Clement Greenberg endorsed the work of Walker Evans with the slogan “let photography be ‘literary.’” The next year, in a review of Ben Shahn’s retrospective at moma, he declared that Shahn was “more naturally a photographer than painter.” That show included very few photographs; Shahn wished to represent himself as a painter. 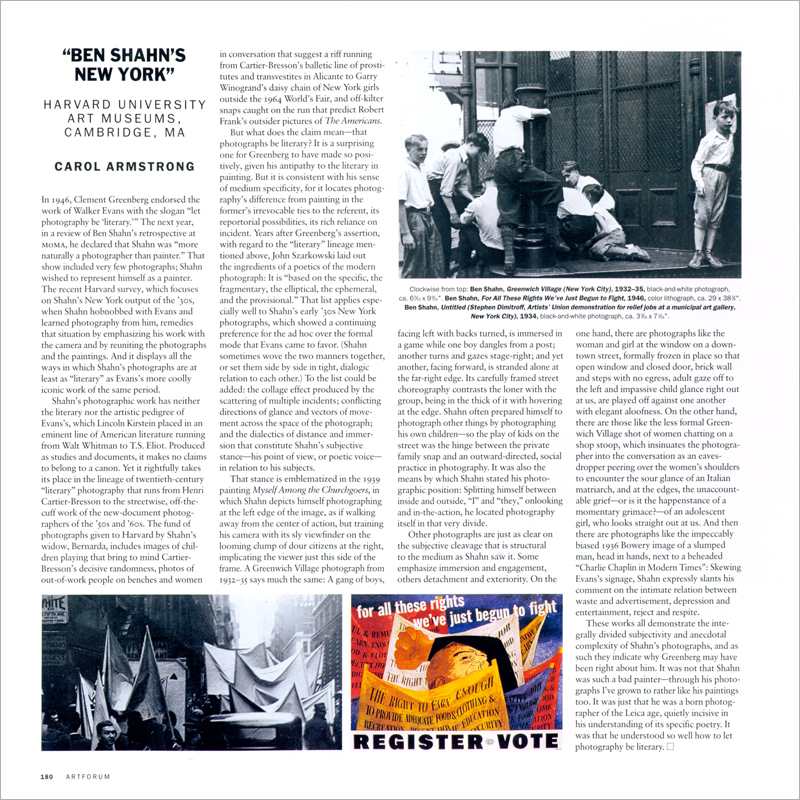 The recent Harvard survey, which focuses on Shahn’s New York output of the ’30s, when Shahn hobnobbed with Evans and learned photography from him, remedies that situation by emphasizing his work with the camera and by reuniting the photographs and the paintings. And it displays all the ways in which Shahn’s photographs are at least as “literary” as Evans’s more coolly iconic work of the same period.